The late Joe Raposo's music was so distinct and memorable that I recall it was practically drilled into my brain at the time--and back then, we'd play this alphabet game during the long car trips to school. I actually managed to watch 9TV's broadcast of Sesame Street yesterday morning. The good news: it's back! The bad news: it's the edited 30-minute version. The episode was actually first aired in the USA on November 2009, and features Michelle Obama in a segment towards the end. Intro is so different, the street is familiar yet had some new elements: Mr. Hooper's store now has outside tables, and there's a lush garden area near the carriage house. Susan, Gordon, Bob, Maria and Luis are all still there, but they are practically senior citizens. I have no idea who the other cast members are. The show's format is more street-oriented, with hardly any animated number/letter clips now. The episode I watched was "brought to you by the letter H and the number 40" -->40??? During my time 12 was the maximum number that was featured, LOL. Various 10-minute segments are also aired within the main show, which are combination muppet/cgi/animated segments--the one shown in the episode I watched was Abby's Flying Fairy School. Thank God there was no Elmo's World segment, or I would've changed the channel--can't stand that little abomination. Come to think of it sesame street characters may ibang meaning din. Anyone remember the Bert is Evil memes from the 90's? Growing up with Ernie, Bert, Cookie Monster, Oscar and Grover, to me, Sesame Street jumped-the-shark when they gave too much airtime to Elmo (not sure if this was a result of the popularity of tickle me Elmo toys back then or vice versa). He was too pa-cute (and annoying for me), and all of a sudden, all the other characters just took a backseat. 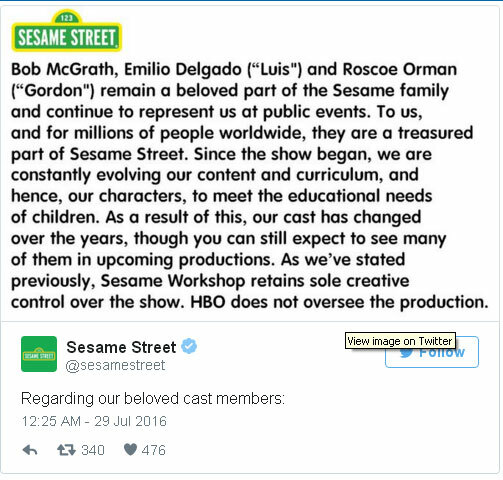 HBO fired Bob, Gordon, and Luis after 4 decades on Sesame Street. That's what I've noticed too, from full hour to half. Daming inalis na portions. Can't believe Bob is already 85! 85? Dapat na talaga alisin! Boo for HBO. Sana si Mark Cuban na lang boss sa HBO, their loyalty would've been rewarded. hard to think of it that way. i remember watching the whole gang in '76, maria, luis, gordon, bob, mr. hooper and i was only 13 then. 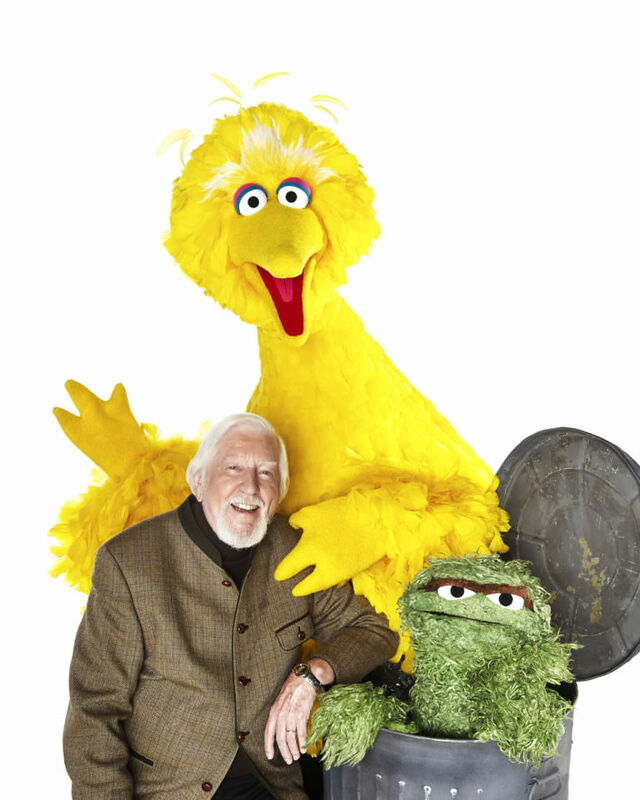 I remember when they incorporated the loss of Mr. Hooper in one of their episodes. That was a nice touch. 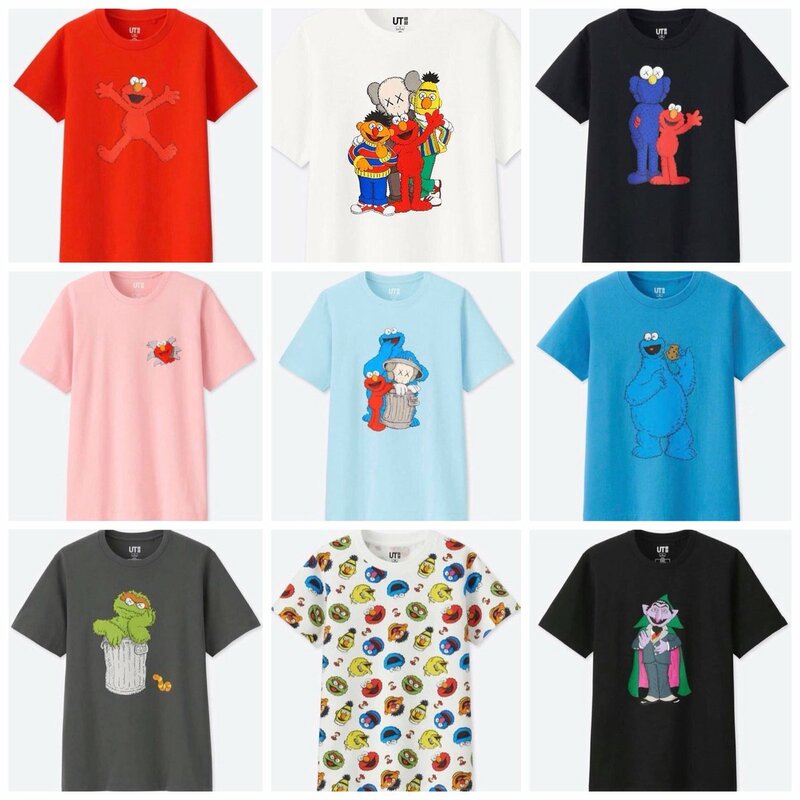 Php 590 adult sizes, Php 390 kiddie sizes. 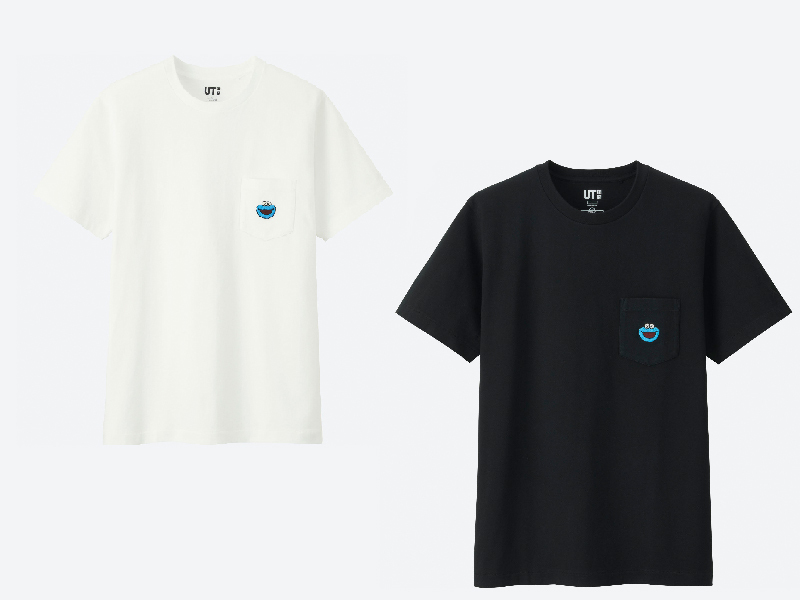 Available in XXL Dad Bod size, too. WTF? 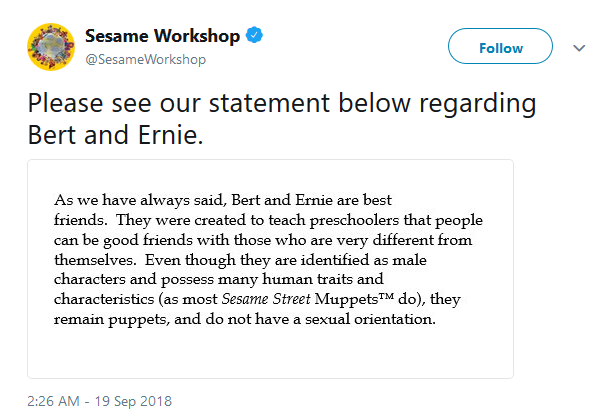 Puppets don't have sexual orientations now? So Miss Piggy is what? Miss Piggy is not exactly a Sesame Street Muppet, so she can afford to be PG. 50 songs from 5o years. Pure nostalgia! Ganda ng mga lumang kanta nila. Galing ng melodies at lyrics. Bangkang papel at tinapang bangus.